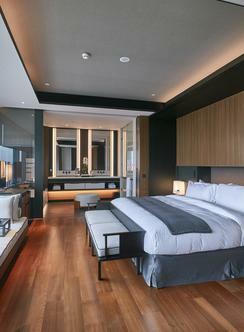 The Lalu Hotel captures the essence of a resort without following the standard recipe for such developments. 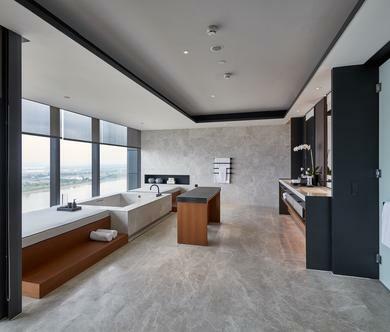 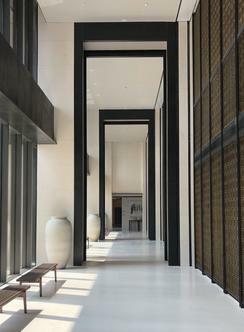 Instead, its design prioritises tranquillity and a sense of repose associated with resort living. 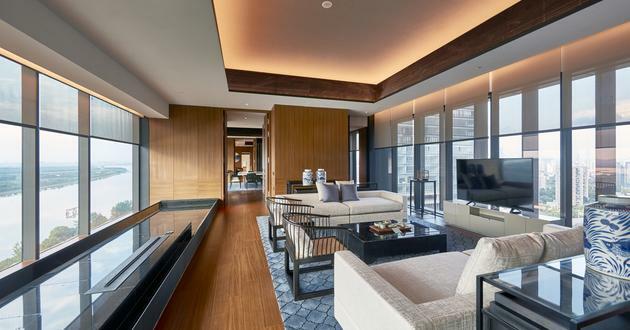 Generous architectural volumes are complemented by low, relaxed lounge seating providing comfortable and elegant spaces from which to enjoy sumptuous river views. 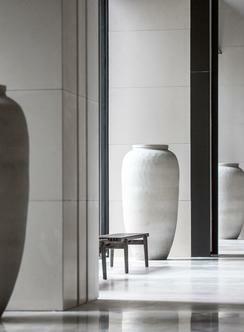 A delicate palette of celadon green, pearl, and cream further enhances a sense of peacefulness. 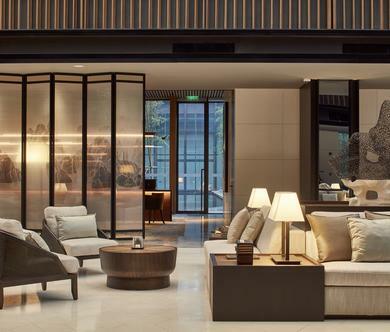 As the guests discover the hotel’s various facilities, Nanjing’s history and culture unfolds through carefully chosen materials: touches of gold remind of the region’s ancient gold leaf production, local limestone in varying finishes evokes Nanjing’s great city wall, and embroidered silk celebrates the art of the famed yunjin brocade. 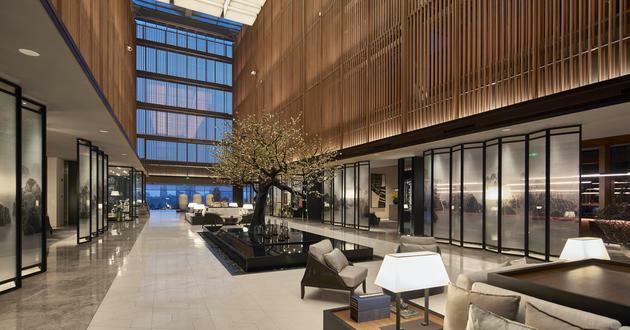 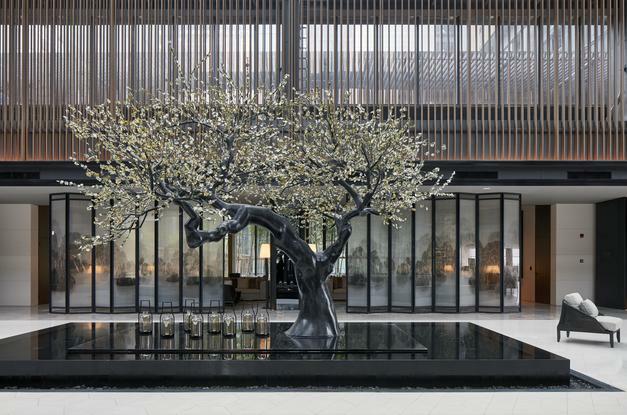 If observed carefully, the grand chandelier in the Main Lobby transforms itself into the misty bamboo forests surrounding Nanjing, and the pattern of the Tea Bar carpet becomes that of a yuhua stone found around the Yangtze River. 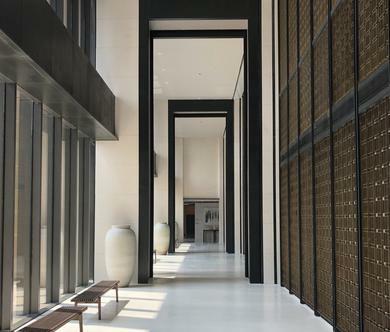 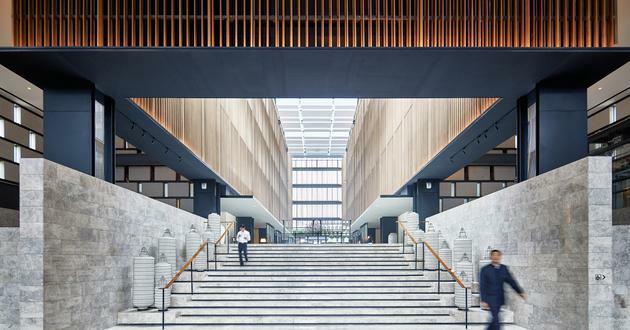 The design of each space holds within itself a subtle memento of the place upon which it is built, and it is up to the visitors’ attentive eye to discover it.